French food and wine have always been favorites of mine, so when I recently hosted my Women's Book Club, I chose a book that was set in France. "The Red Notebook" is a romantic little book about a Parisian bookseller and I highly recommend it for a short but good read. For my bookclub dinner I chose to make one of my all-time favorite French dishes: Chicken Fricassee. I wanted to simplify this dinner favorite since I was cooking for a group and wanted to spend time on setting a beautiful table in addition to creating a memorable meal. To make this happen I always love to turn to my Crock-Pot slow cooker! By slow-cooking the chicken dish, creating a simple salad, putting together an easy appetizer plate, and serving with my favorite wines from my family winery, it looked a lot more labor-intensive than it really was! 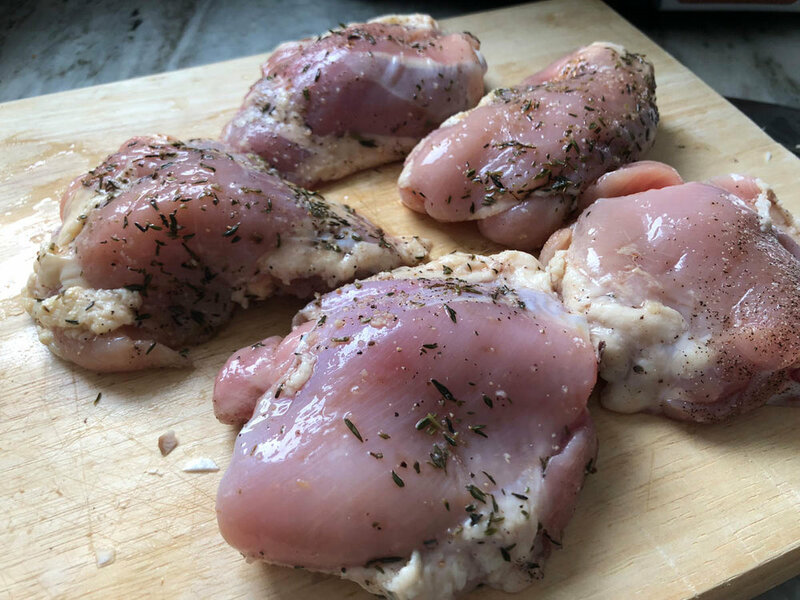 In a gallon-size resealable plastic bag, combine bone-in skinless chicken thighs with lemon peel, thyme, 1/2 tsp. each of salt and pepper, wine, and chopped garlic; refrigerate overnight. About 6 hours before serving, cut red potatoes and mushrooms into large chunks. Layer potatoes, mushrooms, and onions in slow cooker. Pour 3/4 cup chicken broth over vegetables. Add marinated chicken thighs and cook on low for about 4 hours. Add frozen peas to slow cooker and continue to cook for about an hour or until chicken is cooked to 165 degrees. The temperature of slow cookers vary, so be sure to check and make sure it is cooked through. Remove chicken from slow cooker and set aside. Layer platter with potato/mushroom/onion/pea mixture and place chicken thighs on the top; reserve 1/4 c. cooked chicken broth for sauce. In a small saucepan, heat sour cream, 1/4 c. cooked chicken broth from slow cooker, 1/4 t. salt, 1/4 t. pepper and 1/3 c. whole milk. Serve sauce on top of plated chicken. Garnish with chopped parsley. 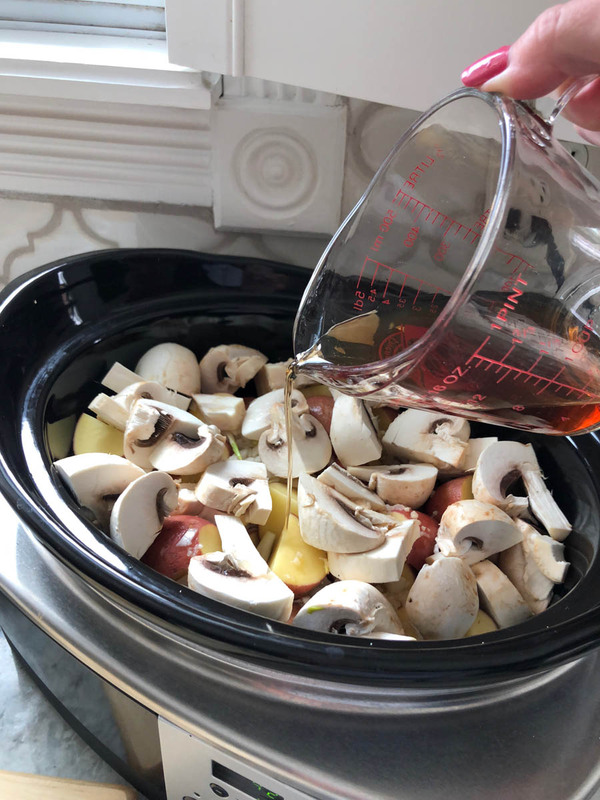 Do you have a favorite crock-pot recipe? If so I'd love to hear about it! 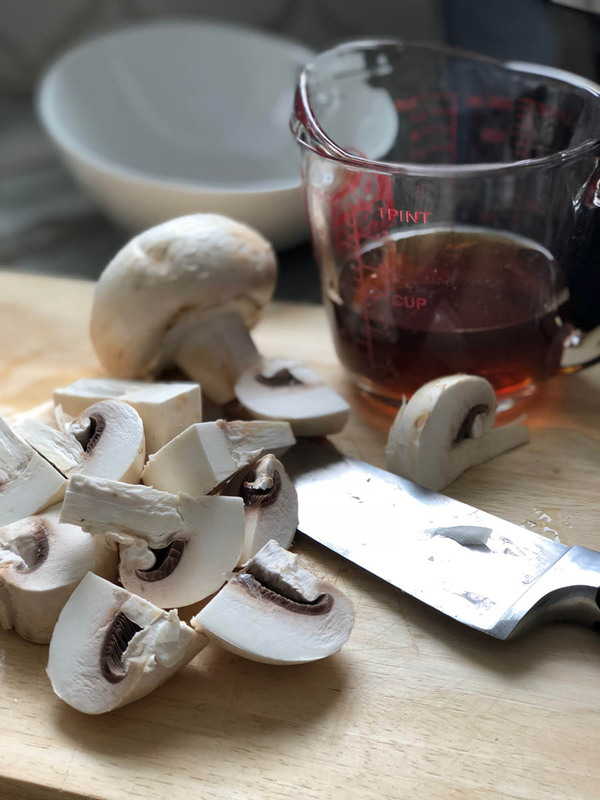 Click here to check out some of my other recipes for entertaining, including an amazing recipe for Italian Bolognese Sauce, quick & easy 10-Minute Appetizers, and my favorite dessert on the planet...Tiramisu! You might also enjoy reading about My Family Winery Story, and Southern Ladies' Luncheon: The Art of Preparation & Presentation, and other entertainment posts.